Bridge Point 2 (phase 2) is a brand-new 400,500 square foot industrial/warehouse building currently under construction with an anticipated delivery date during the second quarter 2016. 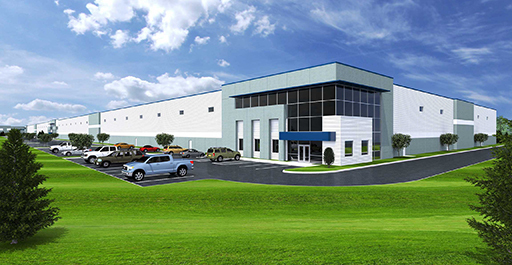 Located less than 1.5 miles from the I-94 and Route 137 interchange, this divisible industrial/warehouse building will feature 32’ clear-height ceilings, T-5 lighting and 4000 amps of power. This building provides for 78 exterior docks and 108 parking stalls for trailers.